Quality, process and change management have been the focus for Pam Rusciolelli Schoppert for more than two decades, leading and supporting improvement efforts for multiple companies and government customers including Defense, Homeland Security, and Treasury organizations. Her recent experience working hand-in-hand with critical IT projects has benefited the government by leveraging and aligning best practices of Citizant, federal agencies, and internationally recognized standards. Tailoring and process mentoring performed by Pam for these projects has resulted in early, streamlined adoption of key planning processes and management plans. Pam is a recognized expert in effectively implementing and appraising against industry improvement standards, such as the CMMI Institute’s Capability Maturity Model Integration (CMMI). She has participated in more than 40 recognized process improvement appraisals and assessments, several at the highest attainable maturity levels (4/5). She has repeatedly used her talents to lead the Citizant team, anchored by strategic government projects, through a multi-model CMMI-DEV/CMMI-SVC appraisals, including one of the first of its kind to be formally registered with the CMMI Institute. 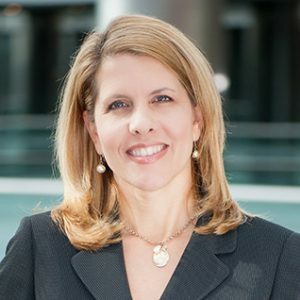 Pam also specializes in trailblazing the standardization industry’s alignment to the needs of today’s federal government IT and services market by establishing new models, process assets, and templates. She has presented at multiple national process-engineering conferences. She was hand-selected by the CMMI Institute to join a small group of industry and government representatives to co-author the CMMI for Services model. She currently serves on the Architectural Team for the CMMI Next Generation model rewrite. Pam is also a contributing member of the ISO Technical Advisory Group on Quality Management (ISO TAG 176). She has written and implemented corporate policy and processes for software development, systems engineering, and IT services. She has authored and delivered corporate-level training curricula for teambuilding, peer review, and quality process innovation, positively impacting thousands of staff, customers, and partners. Pam recently led improvement efforts that resulted in CMMI Maturity Level 3 re-attainment for the IRS’s Application Development organization, encompassing 150 projects. Pam utilizes management and interpersonal skills to do what she loves best: help a team succeed to its fullest potential in delivering federal government products and services with repeatable practices and maximum efficiency, thus enabling a better future for the citizen. Ms. Schoppert has a bachelor’s degree in Computer Science and Mathematics from Wheeling Jesuit University. She lives in Leesburg, Va., with her husband and three children. She leads the executive board of VSAarts of Loudoun (Va.) and spends her free time advocating for children with special needs, through The Arc of Loudoun and the Down Syndrome Association of Northern Virginia.